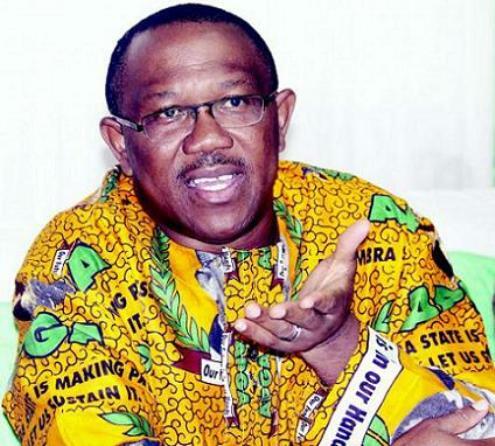 LAGOS JUNE 12TH (NEWSRANGERS)-Former Governor of Anambra State, Mr. Peter Obi, has commended President Muhammadu Buhari for the decision he took on June 12, saying that the primary lesson inherent in that move is that no time is long or overdue to rectify wrongs and mistakes of yesterday. Obi made the commendation on Monday while speaking with journalists at the Local Wing of Murtala Mohammed Airport, Lagos. The former governor advised the President to go a step further and rectify what he called “other wrongs that were by-products of June 12 and punctuated our democratic journey”. He said the Presidency should also consider all those that suffered various degrees of wrongs and deprivation as a result of June 12 and Nigeria’s tortuous democratic journey. Obi specifically mentioned names such as Prof. Humphery Nwosu; Gen. Musa Yar’Adua (who died in prison); Gen. Akinrinade; Dan Suleiman (whose property were burnt to the ground), as well as Chief Ralph Obioha, whose African Trust Bank, Safari Brewery, vegetable oil company and cement company came under heavy attack, from which he has not recovered from till this day. Concluding, Obi called on Nigerians to look beyond the external gestures being expressed now to the lessons inherent in them, one of which, according to him, is that the survival of democracy requires sustained and patriotic sacrifices by all Nigerians, especially the leaders.